Rost Landscaping is a long-standing business serving Columbia and surrounding areas. 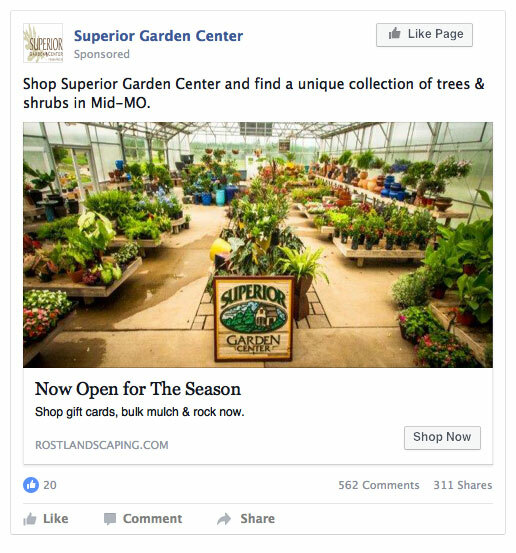 Superior Garden Center is their seasonal greenhouse and plant center located west of Columbia at the Rost headquarters. 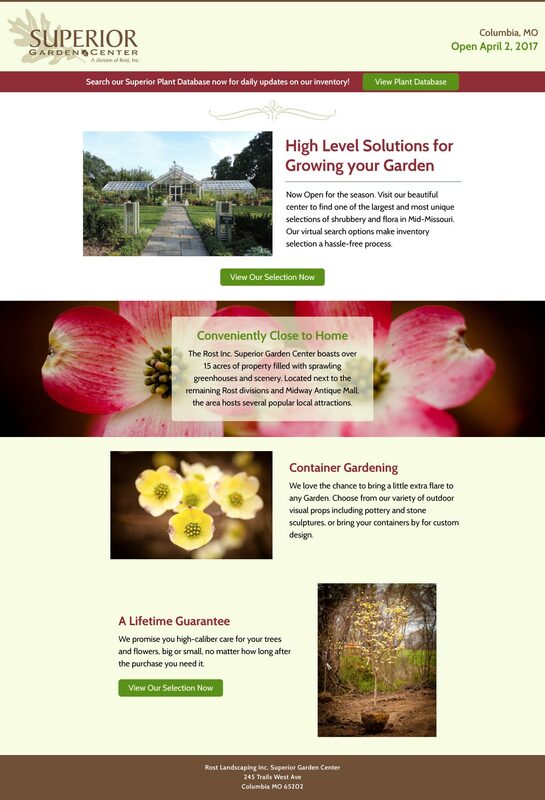 The client sought a cost-effective way to promote the spring season opening of the Garden Center and to help overcome the objection of location/distance from Columbia. 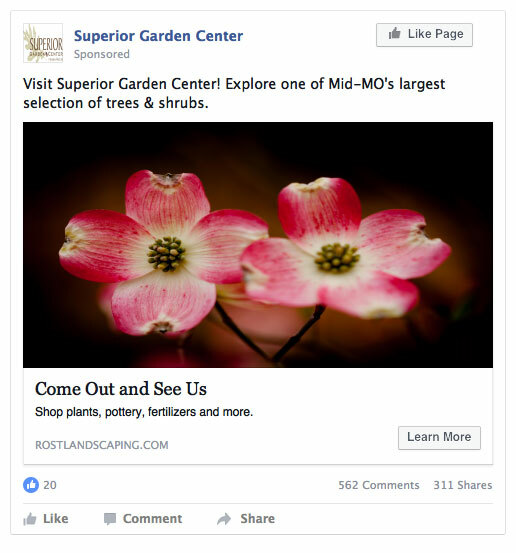 Superior Garden Center had a very busy spring season, and the client was very happy with the results of the campaign the return on the 6-week investment. The Superior Garden Center parking lot stayed full as customers ventured out to explore the extensive inventory.